Lawmakers are requesting that other credit card issuers follow Bank of America's lead in pledging not to raise interest rates between now and February 2010, when sweeping new credit card restrictions take effect. The latest move comes as the banking industry fights off assaults from a number of fronts: the recession, rising credit card delinquencies and charge-offs, heightened congressional scrutiny over lending practices and the most stringent regulations in decades. No. 2 U.S. credit card issuer Bank of America made the pledge to cease interest rate hikes (also known as re-pricing accounts) in an Oct. 5 letter sent to key congressional leaders. "In light of the concerns expressed to us by our customers, Bank of America will not implement any change in terms (risk or economic based) re-pricing of consumer credit card accounts between now and the effective date of the CARD Act," he wrote, referring to the sweeping credit card reform act signed into law in May. "We believe that this is ... responsive to the concerns we have heard and is consistent with other consumer oriented policy changes we have made recently, like giving customers much more control over the risk of incurring overdraft fees and substantially limiting the application of those fees." Reaction to the pledge was swift from Capitol Hill. "Every other credit card company should follow suit," Sen. Christopher Dodd, chairman of the Senate Banking Committee, said in a press release issued Tuesday afternoon. "This Congress has made it clear that abusive credit card practices are no longer acceptable." He was joined by several other Congress members in asking the banks to cease hikes. At least two credit card issuers -- Discover and Capital One -- have indicated they too will halt interest rate hikes (unless they are triggered by missed payments). According to Capital One spokeswoman Pam Girardo, the bank is already doing what BofA is pledging by following interest rate hike restrictions required in the new credit card law. Discover "... will not initiate any change-in-terms repricing of credit card accounts from now until the effective date of the CARD Act," according to spokesman Matthew Towson. However, other major issuers are not following suit. Stephanie Jacobson, a spokeswoman for No. 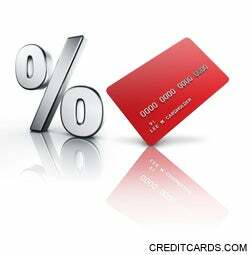 1 U. S. credit card issuer Chase, said the bank does not plan to make changes to current policies. "We intend to be in compliance with the provisions of the federal CARD Act when they become effective. We will not speculate on future timing." Wells Fargo is also not freezing rate hikes. In fact, the bank chose this week to notify a majority of its cardholders of impending rate hikes. The company is also announcing it is eliminating over-limit fees, according to Lisa B. Westermann, the bank's assistant vice president of public relations. "Given rising business costs and current consumer credit challenges, we are changing our rates in accordance with current regulations in order to ensure we can offer our credit card products to the greatest number of customers possible," Westermann wrote in an e-mailed response. BofA spokeswoman Betty Riess clarified that the bank's moratorium on interest rate hikes does not extend to delinquent accounts. "We will continue to re-price rates of some customers if they are late on two or more payments during 12 consecutive months (which we disclose to customers in their credit card agreements)," Riess wrote. Also noteworthy, the bank's no-rate-hike pledge is extended only to consumer credit card accounts -- not business or corporate credit cards. Even if other credit card issuers do follow BofA's lead and forswear new rate increases, such a pledge would come too late for millions of credit cardholders. Since the passage of reform law, accounts have been hit with a flurry interest rate hikes, new annual fees, increased minimum payment thresholds and slashed credit limits. The bank's promise to back off of rate increases comes less than two weeks after Congress members Carolyn Maloney of New York and Barney Frank, chairman of the U.S. House Financial Services Committee, introduced a bill to fast-track the new Credit Card Accountability, Responsibility and Disclosure Act (or Credit CARD Act). Among other things, that law restricts when credit card companies can increase interest rates on existing credit card balances. The proposed bill would move the effective date of the majority of consumer protections in the CARD Act up to Dec. 1, 2009, from the current Feb. 22, 2010, start date. A U.S. Senate version of the bill has not been introduced. Ed Mierzwinski, consumer program director for the U.S. PIRG consumer advocacy group, urged lawmakers to move forward with the bill. "I don't trust the banks, and I encourage Chairman Dodd and Chairman Frank to keep the heat on them, whether through pledges, hearings or statements, even though legislation is best," Mierzwinski said in an e-mailed statement. "Dodd's announcement on overdrafts got their attention. So will this." Mierzwinski referred to Dodd's bill to require banks to allow consumers to avoid overdraft fees. A spokeswoman for Consumers Union (CU), the nonprofit owner of Consumer Reports magazine, said the proposal to move up the credit card law "does not come a day too soon. Since the credit card bill was signed in May, consumers have been footing the bill for greedy credit card companies who are trying one last attempt to turn a profit. Too many consumers have seen their rates double -- even triple -- in the last three months as credit card companies try to sneak one last rate hike in before the new rules take effect," CU's Pam Banks said in a Sept. 24 statement. Credit card issuers have said they need time to rework their business models and revamp operations and computer systems to comply with a multitude of billing, disclosure and payment requirements included in the new credit card law. "Behind every credit card account is a complex network of data systems, risk management systems, pricing mechanisms, and funding sources," Kenneth J. Clayton, senior vice president of card policy for the American Bankers Association trade group, said in a statement released in September. "The reform measures that Congress has already adopted require credit card banks to completely overhaul all of these systems. This is no easy task, and not doing it right could lead to mistakes in account statements and create confusion and uncertainty for millions of American consumers, not to mention posing significant legal penalties for banks."